Frida Kahlo is known for her bold, vibrant, personal works and celebrated as a feminist icon, anti-capitalist, and passionate Communist among many but right-wing pundits have decided an exhibition of her work Hungarian National Gallery in Budapest has to go because... it ”promotes Communism”. Kahlo’s exhibition, along with other galleries and artists, was listed in Hungary’s right-wing newspaper Magyar Idor’s July article – ”This is the way communism is promoted (by the) state”. ”You won’t believe it, but Trotsky has emerged in Budapest again, this time from Frida Kahlo’s bed,” the newspaper declared in reference to the artist's affair with Leon Trotsky, the man that played a part in the Bolshevik seizure of power in Russia in 1917. Kahlo was affiliated with Mexico’s communist party and according to the Museo Frida Kahlo in Mexico, she adorned her bed with images of prominent communist leaders, including the likes of Marx, Engels, and Mao. The artist was fiercely political, but her art and personhood has been hugely commodified – read back on our exploration of how the Latinx artist’s image has been forced into a palatable version of everything that she stood against here. According to Reuters, this red scare is part of a wider discussion in the country on a culture and cultural policy that aims to steer away from a ”dominance of leftist-liberal artists”, following conservative Prime Minister Viktor Orban’s reelection in April. 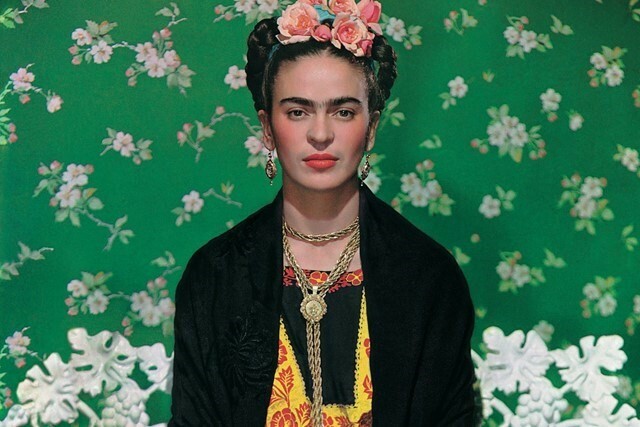 Kahlo is not the only one that’s come under fire. In June, the newspaper also criticised the Hungarian State Opera’s production of Billy Elliot for spreading ”gay propaganda”. An exhibition on the artist's wardrobe is currently on display in London's V&A museum – Frida Kahlo: Making Her Self is on until November 4 2018.